The terms and conditions stated herein (collectively, the “Agreement”) constitute a legal agreement between you and The Loud Line, LLC, and its subsidiaries and affiliates (collectively, “THE LOUD LINE” or the “Company”). In order to use the Service (defined below) and the associated Application (defined below) you must agree to the Terms and Conditions that are set out below. By using or receiving any services supplied to you by the Company (collectively, the “Service”), and/or accessing, downloading, installing or using any associated application or website provided by the Company (including without limitation, the THE LOUD LINE website located at theloudline.com) (collectively, the “Application”), you hereby expressly acknowledge and agree to be bound by the terms and conditions of the Agreement, and any future amendments and additions to this Agreement as published from time to time at the THE LOUD LINE website or through the Service. THE COMPANY IS NOT A MEDICAL CANNABIS COLLECTIVE OR COOPERATIVE (“DISPENSARY”) AND DOES NOT ITSELF PROVIDE MEDICAL CANNABIS DELIVERY SERVICES TO MEDICAL CANNABIS PATIENTS. THE COMPANY DOES NOT PROVIDE OR SELL MEDICAL CANNABIS AND IS NOT A MEDICAL CANNABIS DELIVERY SERVICE PROVIDER. 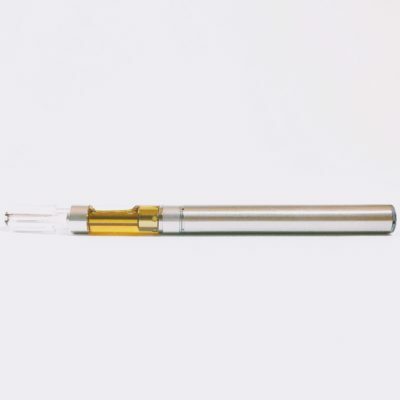 IT IS THE SOLE RESPONSIBILITY OF THE THIRD PARTY DISPENSARY TO OFFER STATE LAW COMPLIANT SERVICES, WHICH MAY BE LOCATED, SCHEDULED, AND COORDINATED THROUGH USE OF THE APPLICATION OR SERVICE. THE LOUD LINE OFFERS PRE-VERIFICATION OF USERS AND PROVIDES USERS’ INFORMATION TO DISPENSARIES, AND A METHOD TO CONTACT A DISPENSARY TO OBTAIN DELIVERY SERVICES FROM THE DISPENSARY. THE COMPANY DOES NOT AND DOES NOT INTEND TO PROVIDE DELIVERY SERVICES OR ACT IN ANY WAY AS A DELIVERY SERVICE PROVIDER, AND HAS NO RESPONSIBILITY OR LIABILITY FOR ANY DELIVERY SERVICES PROVIDED TO YOU BY THIRD PARTY DISPENSARIES. User expressly acknowledges that THE LOUD LINE is for residents with laws regulating medical or the recreational use of cannabis only and that medical cannabis collectives and patients are established pursuant to their respective State laws. Marijuana is included on Schedule 1 under the United States Controlled Substances Act. Under the federal laws of the United States of America, manufacturing, distributing, dispensing or possession of marijuana is illegal, and individuals are subject to arrest and/or prosecution for doing so. Client further acknowledges that medical use is not recognized as a valid defense under federal laws regarding marijuana. Client also acknowledges that the interstate transportation of marijuana is a federal offense. The Company has its principal place of business is California. 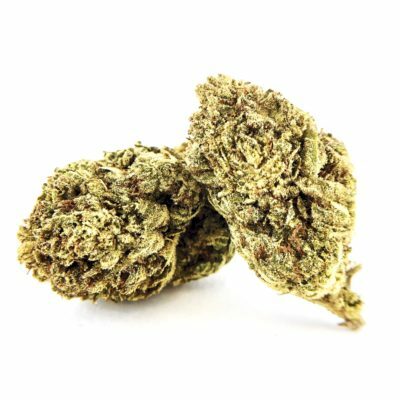 Even though the THE LOUD LINE Application may be accessed outside of California, the Service is currently available only to users and Dispensaries located in California. In all events, you must abide the by and follow the laws of the state in which you are a resident. User expressly acknowledges and assumes full responsibility for cooperating with the laws of the state of user’s residency. The terms and conditions stated in this Agreement constitute a legal agreement between you and the Company. In order to use the Service (defined below) and the associated Application (defined below) you must agree to the Terms and Conditions that are set out below. By using or receiving any services provided to you by the Company (collectively, the “Service”), and downloading, installing or using any associated application supplied or website provided by the Company which purpose is to enable you to use the Service (collectively, the “Application”), you hereby expressly acknowledge and agree to be bound by the terms and conditions of the Agreement, and any future amendments and additions to this Agreement as published from time to time at the Company website www.theloudline.com or through the Service. The Company is willing to license, not sell, the THE LOUD LINE Application to you only upon the condition that you accept all the terms contained in this Agreement. By signing up with or by using the THE LOUD LINE Application, you indicate that you understand this Agreement and accept all of its terms. If you do not accept all the terms of this Agreement, then the Company is unwilling to license the THE LOUD LINE Application to you. The THE LOUD LINE Application provides the communication structure to enable a connection between persons (“Users”) and third party Dispensaries who provide medical cannabis collective or cooperative membership opportunities and members-only delivery services for medical marijuana. This Agreement describes the terms and conditions that will govern your use of and participation in the THE LOUD LINE Application. Users agree not to post, email, or otherwise make available Content: a) that is unlawful, harmful, threatening, abusive, harassing, defamatory, libelous, invasive of another’s privacy, or is harmful to minors in any way; b) that advertises any illegal service or the sale of any items which are prohibited or restricted by the laws of your State; c) attempt to gain unauthorized access to the Company’s computer systems or engage in any activity that disrupts, diminishes the quality of, interferes with the performance of, or impairs the functionality of, the Service or the THE LOUD LINE Application (including the THE LOUD LINE website). By using the Application or Service, you expressly represent and warrant that you are legally entitled to enter into this Agreement. If you reside in a jurisdiction that restricts the use of the Service because of age, or restricts the ability to enter into agreements such as this one due to age or other restrictions, you must abide by such age limits or other restrictions and you must not use the Application and Service. Without limiting the foregoing, the Service and Application is not available to children (persons under the age of 18). THE LOUD LINE may, in its sole discretion, permit Users to post, upload, publish, submit or transmit User Content. By making available any User Content on or through the Service or Application, you hereby grant to Company a worldwide, irrevocable, perpetual, non-exclusive, transferable, royalty-free license, with the right to sublicense, to use, view, copy, adapt, modify, distribute, license, sell, transfer, publicly display, publicly perform, transmit, stream, broadcast and otherwise exploit such User Content only on, through or by means of the Service or Application. Company does not claim any ownership rights in any User Content and nothing in this Agreement will be deemed to restrict any rights that you may have to use and exploit any User Content. By becoming a User, you expressly consent and agree to accept and receive communications from us and/or Dispensaries that you transact with, including via e-mail, text message, calls, and push notifications to the cellular telephone number you provided to us. By consenting to being contacted by the Company, you understand and agree that you may receive communications generated by automatic telephone dialing systems and/or which will deliver prerecorded messages sent by or on behalf of the Company, its affiliated companies and/or Drivers, including but not limited to: operational communications concerning your User account or use of the THE LOUD LINE Application or Services, updates concerning new and existing features of the THE LOUD LINE Application, communications concerning promotions run by us or third party Dispensaries, and news concerning the Company and industry developments. IF YOU WISH TO OPT-OUT OF PROMOTIONAL EMAILS, TEXT MESSAGES, OR OTHER COMMUNICATIONS, YOU MAY OPT-OUT BY FOLLOWING THE UNSUBSCRIBE OPTIONS PROVIDED TO YOU. Standard text messaging charges applied by your cell phone carrier will apply to text messages we send. You acknowledge that you are not required to consent to receive promotional messages as a condition of using the THE LOUD LINE Application or the Service. However, you acknowledge that opting out of receiving text messages or other communications may impact your use of the THE LOUD LINE Application or the Service. The Company may give notice by means of a general notice on the Service, electronic mail to your email address on record in the Company’s account information, or by written communication sent by first class mail or pre-paid post to your address on record in the Company’s account information. Such notice shall be deemed to have been given upon the expiration of 48 hours after mailing or posting (if sent by first class mail or pre-paid post) or 12 hours after sending (if sent by email). You may give notice to the Company (such notice shall be deemed given when received by the Company) at any time by sending an email to: contact@theloudline.com; Please specify the reason for the email in the subject line so it can be forwarded to the proper department. Changes. Notwithstanding the provisions of the modification-related provisions above, if Company changes this “Dispute Resolution” section after the date you first accepted this Agreement (or accepted any subsequent changes to this Agreement), you may reject any such change by sending us a notice to contact@theloudline.com with “Legal” in the subject line within 30 days of the date such change became effective, as indicated in the “Last Updated Date” above or in the date of Company’s email to you notifying you of such change. By rejecting any change, you are agreeing that you will arbitrate any Dispute between you and Company in accordance with the provisions of this “Dispute Resolution” section as of the date you first accepted this Agreement (or accepted any subsequent changes to this Agreement). This User Agreement constitutes the entire agreement between you and the Company and governs your use of the Service, superseding any prior agreements between you and the Company. The User Agreement and the relationship between you and THE LOUD LINE shall be governed by the laws of the State of California without regard to its conflict of law provisions. You and THE LOUD LINE agree to submit to binding arbitration for any dispute arising out of your relationship with THE LOUD LINE and that such arbitration will take place in the City of San Diego, California. The failure of THE LOUD LINE to exercise or enforce any right or provision of the User Agreement shall not constitute a waiver of such right or provision. If any provision of the User Agreement is found by an arbitrator to be invalid, the parties nevertheless agree that the arbitrator should endeavor to give effect to the parties’ intentions as reflected in the provision, and the other provisions of the User Agreement remain in full force and effect. You agree that regardless of any statute or law to the contrary, any claim or cause of action arising out of or related to use of the Service or the TOU must be filed within one (1) year after such claim or cause of action arose or be forever barred.